# Buzz Magazine will be mailed to new graduate Yellow Jacket Club members with valid mailing address. Student members may attain a copy by picking up from the A-T Fund office. The top priority for annual gifts, the Athletic Scholarship Fund is essential in obtaining a winning combination of athletic and academic excellence. Endowment distributions cover just one-third of the annual scholarship costs. The Athletic Scholarship Fund provides direct support for student-athlete scholarships and helps bridge the gap between endowment returns and scholarship costs. An Everyday Champions Scholarship is a 4-year commitment at the Full Scholarship Level ($31,250) for a total of $125,000. 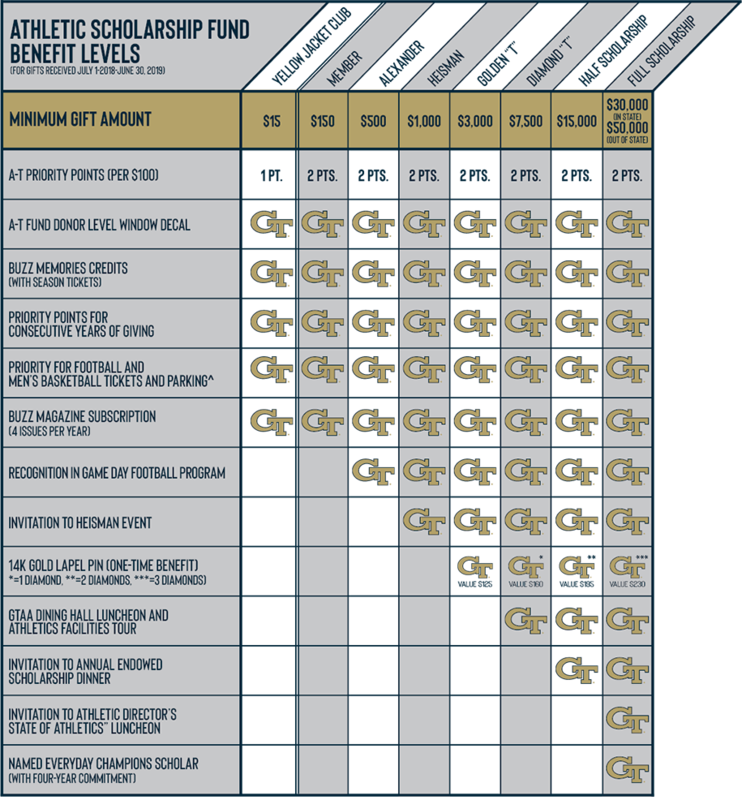 Donors will receive the opportunity to meet, mentor, and nurture a personal relationship with a GT student-athlete. In addition donors will receive all the benefits of the Jack Thompson Giving Society. The Yellow Jacket Club is an exclusive opportunity with a mission to increase engagement between current Georgia Tech students and young alumni through athletics. Student membership in the Yellow Jackets Club will offer year-round benefits and engagement opportunities. Benefits include guaranteed admission to all home football games, an exclusive gold adidas t-shirt (a $40 value), priority access to student tickets for postseason games across all sports and access to special events. Additionally, all Yellow Jacket Club members will earn A-T Fund priority points. Young Alumni membership offers flexible opportunities to support Georgia Tech athletics. Membership provides an opportunity to give back to your alma mater, get engaged and benefit from social and career networking opportunities to advance personal and professional ambitions. Additionally, Young Alumni members will have priority access to postseason tickets, will earn A-T Fund priority points, will have access to exclusive events and a one-time discount at adidas.com. 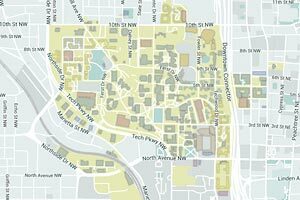 Individuals will be eligible for Young Alumni membership for 10 years after graduation from Georgia Tech.